This surf camp in Seminyak, in Bali Island, is perfect for both beginners and advanced surfers. Our guides, equipped with jeeps and boats, will bring you around to discover waves and wonderful places! Our basic idea is SURFARIS! Located 3 km north of the tourist center of Kuta, in the quiet spot of Seminyak. This allows you to choose between relaxation and fun in the nightclubs. The 6 km of kuta beach is just a few minutes walk from the camp, where you can quickly reach famous spots such as HalfWay, Padma or KuDeTa. These spots are perfect for beginners and intermediate! This package includes daily surfaris, 2 times a day, in different spots depending on the level, tide, wind and swell conditions. Every day you have to write down your name on the list of the tour that you're interested in doing, and the next day you'll start! Beginner surfers: Several beach breaks not far from the camp (Halfway, Padma, KuDeTa, DoubleSix) are perfect for those wishing to practice on green waves. These spots are also considered Wold Class for experienced surfers! Intermediate surfers: a big variety of soft reefs or semi beach breaks such as Batu Bolong, Old Man and Dreamland, perfect and long waves with open walls ideal for improving the surf, position and maneuver. Advanced surfers: Undoubtedly this is a destination among the world's migrators for the World Class surfing, spots like Padang-Padang, Keramas, Uluwatu and Balangan are world-renowned. Conditions are good all year round, swells are guaranteed 100%! How will you move around Bali? This is our strong point! 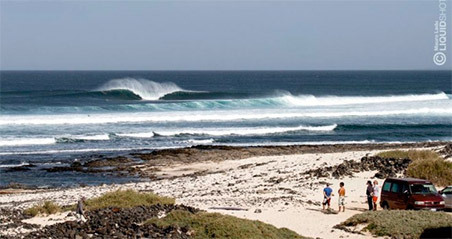 Our concept of mobility and surf is to bring you to the discovery of the island and its waves, close to or far away! Even the cultural aspect is not to be overlooked, with ancient temples, palaces and terrace paddles. Could not resist to Kuta's shopping and nightlife? Our jeeps are available to organize your trip, just ask for availability! At the camp there is also the possibility to take private surf lessons, hire equipment, rent motorcycles, private yoga classes and organize photo and video sessions to capture your surfing times! Bali international airport (DPS) is easily accessible from many international airports around the world. Bali airport is about 30 minutes drive from the camp. Surfcamp airport shuttle: Included in the price of the package, we offer airport / camp return transfer, with private driver (NOT included for package less than 5 days). Most nationalities do NOT need a special visa to go to Indonesia (30 days on arrival). We always recommend to check the validity of your passport before traveling (at least 6 months validity from the scheduled return date) and to take various copies of your passport with you, if the original gets lost. There are good hospital facilities in Bali, but we recommend traveling with an international travel insurance.